Jeffrey Faint graduated from Aston University with a degree in Applied and Human Biology. Jeff worked in a number of medical research departments at the University of Birmingham where he gained a PhD in Immunology. Jeff moved to a commercial in vitro diagnostics company to investigate novel uses of the company assays through collaborative projects with national and international collaborators. This was followed by a move to the NIHR funded Horizon Scanning Research and Intelligence Centre at Birmingham University reporting on the development of novel and emerging medical healthcare technologies to NICE and NHS commissioning bodies. Jeff is the Medical Devices Research Co-ordinator for the Trauma Management MedTech Co-operative, providing support to academic and clinical researchers and medical technology companies to develop and evaluate innovative medical technologies. 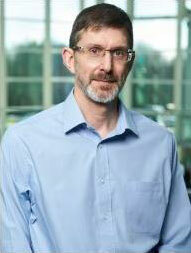 The role makes use of Jeff’s experience of project management, funding applications and clinical trial design.